When you work in a municipal parks department and your last name just happens to be “Tree,” chances are there’s not a pun that’s left unturned. Especially after 38 years in the job. But, after nearly 40 years with Aurora’s Parks Department, former Parks Manager Jim Tree is set for retirement. Over the years, he has seen local parks built from the ground up, long-established green spaces overhauled for more contemporary use, and developed to accommodate residents of all ages and all abilities, a steep curve from when he first gained a job at Town Hall in a much smaller community. Jim Tree grew up in Aurora and, for much of his time working with the Town, continued to call Aurora home. 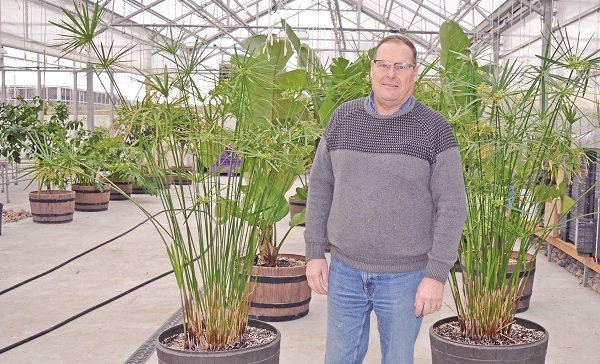 Growing up here, he says he has always had a strong connection with the community and, through his work, has prided himself on this hometown investment. “You should feel comfortable and happy to be at work, and I have felt like that since Day One,” he says. “I had a really good mentor in Norm Weller; he was a very miserly guy, a man of wisdom, a man of unique character, but his heart and soul was in his job, getting more for a dollar than anyone I’ve ever seen in my life, and dedicated to the people in the municipality, trying to give them first-rate service. Jim Tree joined the Parks team when the Aurora community was significantly smaller than it is today. At that time, it was much easier to build parks completely in house. Most, if not all of their projects were done with their own staff while, with the help of part-time staff, including students, maintenance work was still being carried out. Working on this projects in-house saved a lot of money, he says, but rapid growth eventually made that hands-on work more of a challenge. As Aurora rapidly reaches the build-out of 2C, Mr. Tree says the Town is now “over the hump” in terms of new development. When that arrives, there will be a steady stream of infill projects but the Parks department will, in his view, be in largely a maintenance phase. During his time in the Parks Department, Mr. Tree and his team have spearheaded a number of initiatives, including an innovative riding line painting machine, typically used on soccer fields, which was pioneered in house and then became largely a commercially-built industry standard. He also floated a new and efficient way of maintaining Aurora’s outdoor ice rinks through an innovation based on the principle of the ice cube tray but this was, for lack of a better phrase, put on ice after Council got muddled in patent concerns and other legal issues. He says he hopes his successor in the Parks Department, a role currently filled by Sarah Tienkamp, will take this particular ball and run with it, ultimately making it the norm in Town. When asked of his proudest achievements working with the Town, the first he cites is the restoration and rebuilding of the Petch Log House. This, he says, is a project that was estimated by architects and engineers to clock in at “hundreds of thousands of dollars” but the Parks team brought it in with a budget of $140,000. But, at the end of the day, his proudest achievement is the relationships – relationships which, once the succession plan is finalized, he will be leaving behind. “I will miss the people, I’ll miss the challenges,” he says. “It’s always great to have your head in the game and be at the forefront of solving people’s problems and issues. I’ll miss the highs and the lows, the drama. I love when something comes at us that is maybe not so good but is a problem to solve and everyone comes together to solve the problem.